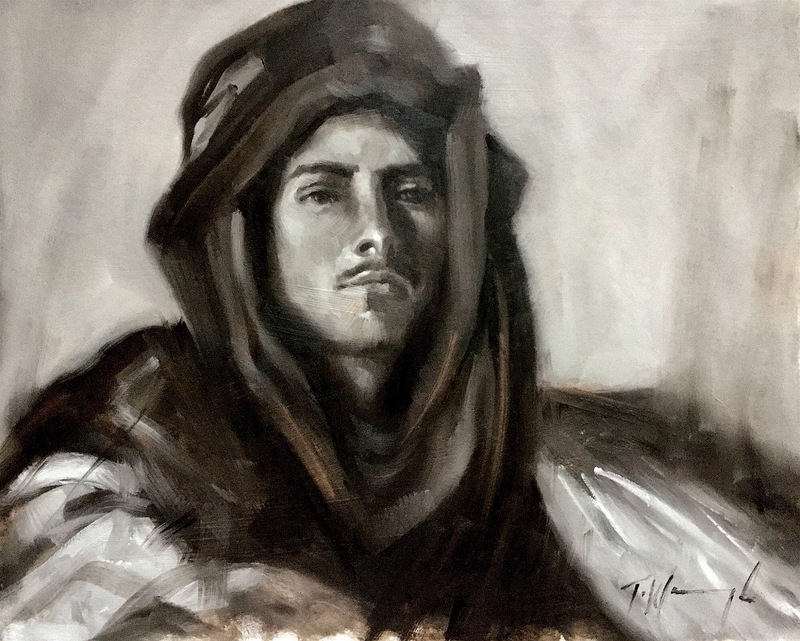 This homage piece to the master painter John Singer Sargent is a study in tonality and brushwork. “Alternating between light and dark shapes in order to create form, is what I do” says Trevor. This painting shows that process in operation exploring the language of the brush.